We were lucky enough to help watch my sister's kids for a while this past week after meeting our newest niece and as a special breakfast to wake up to, Tim whipped together some fun animal pancakes for Sophia, who was staying with us overnight. In all honesty, they were a bit of a treat for us too. 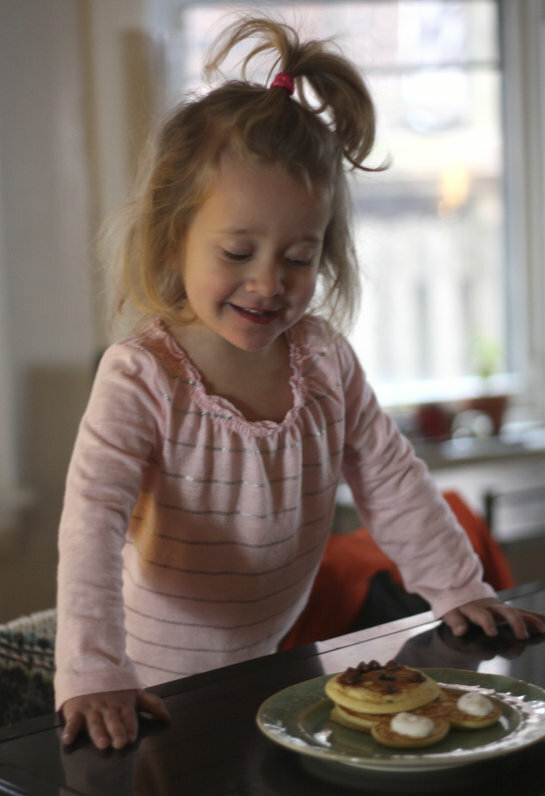 You wouldn't normally see pancakes grace our breakfast table, so we all got to be a little spoiled that morning. 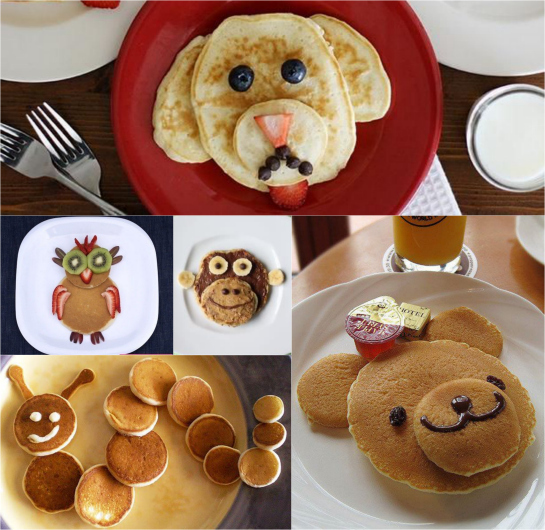 Dog pancake, owl pancake, monkey pancake, caterpillar pancake, teddy bear pancake. How cute are these? 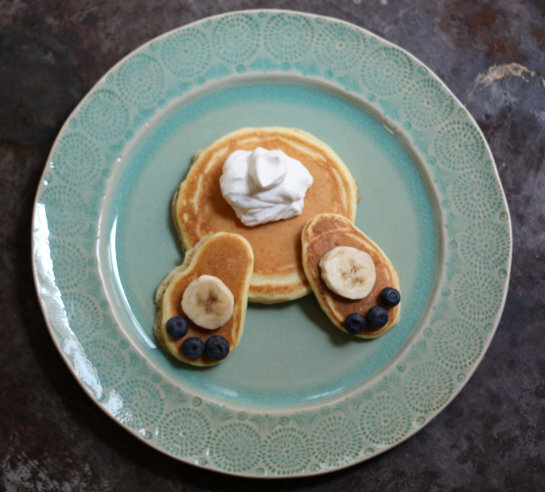 Did you grow up with special pancakes or make different shapes for your children? 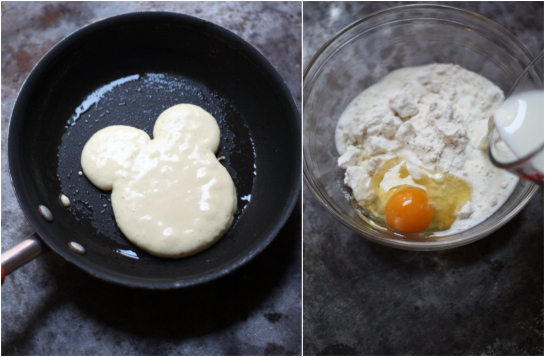 My parents used to make Mickey mouse shapes, letting us douse them in sprinkles before flipping them over in the pan. 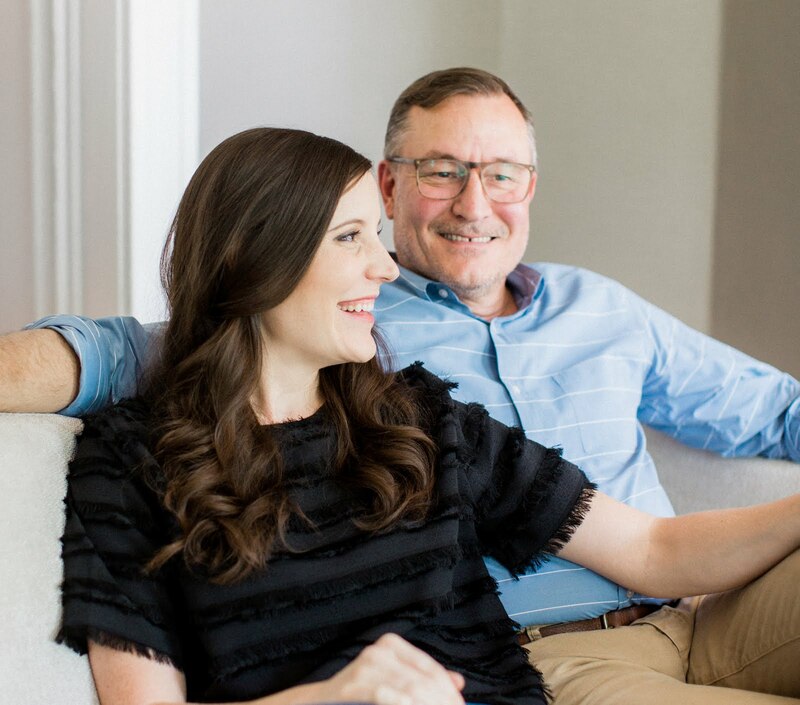 Funny how those memories tend to stick. 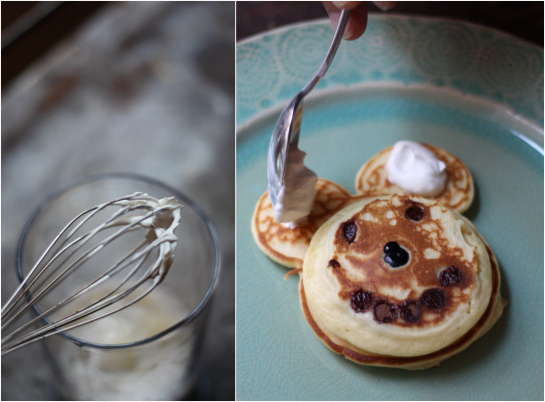 One of the coolest parties I've thrown was a pancake party. I did stacks (and stacks.. and stacks.. and STACKS) of regular and blueberry pancakes. 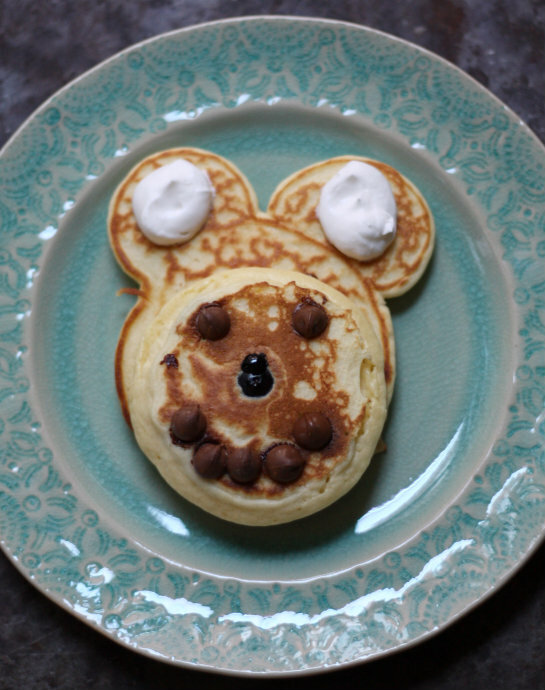 Everyone loves pancakes!